Cape Town truly embodies the best, and sometimes the worst, of many cities across the globe. Each neighbourhood has a very distinct personality and vibe, and where you stay depends on what type of trip you’d like to have. 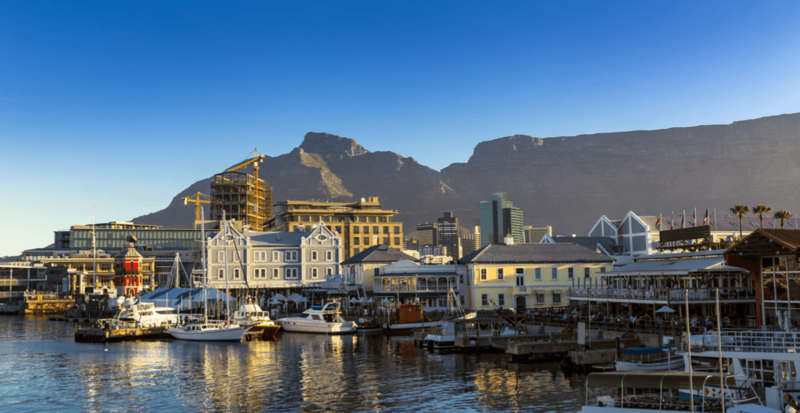 Whether you’re after some ritzy rest and relaxation, a real and raw South African experience, or a bar-hopping bender, Cape Town has all that and so much more. 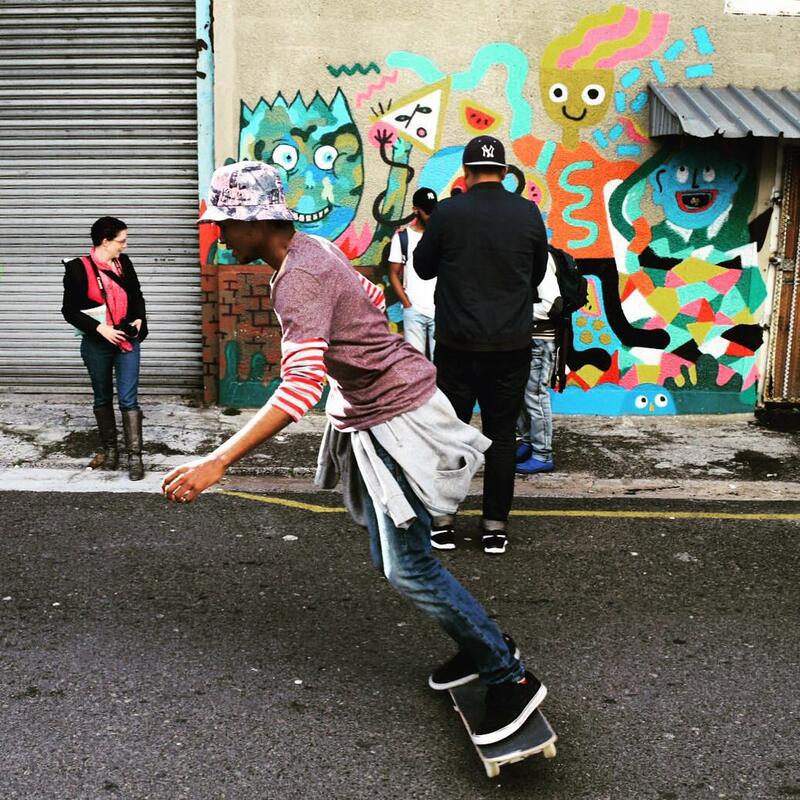 Here are just a few of our favourite areas to explore in the Mother City. One of Cape Town’s friendlier neighbourhoods and located just up from V&A Waterfront, Green Point offers a variety of good food and bevvy options. Shout out to Atlantic Point Backpacker’s Hostel for being an awesome, central budget accommodation option! 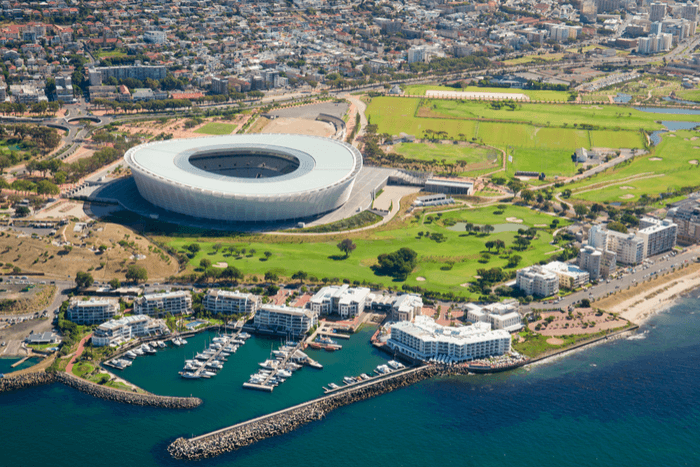 You’ve also got the Cape Town Stadium for football fans, Green Point Urban Park for outdoor enthusiasts, and the neighbouring Sea Point Promenade for those looking to take a bike ride along the ocean. A bit on the edgier side, Woodstock is one of the hippest up-and-coming hoods in Cape Town — and that’s saying a lot for a city that is nothing BUT hip and up-and-coming. With cheap eats, vintage shopping, crafty cocktails, and quaint coffee shops, you can easily spend a day getting lost in these graffiti-lined streets. This stunning development has world-renowned shopping, wining and dining, and views. 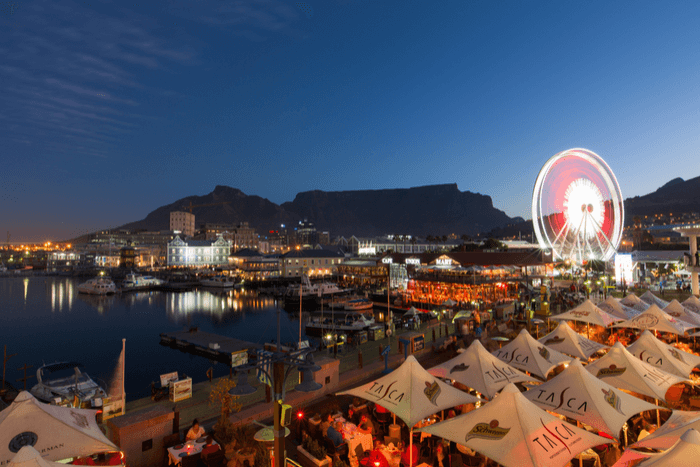 Hop on the ferris wheel, stroll around the harbour, or take in some of the live performers that are sure to be lining the grounds for a truly unique experience that is so authentically Cape Town. 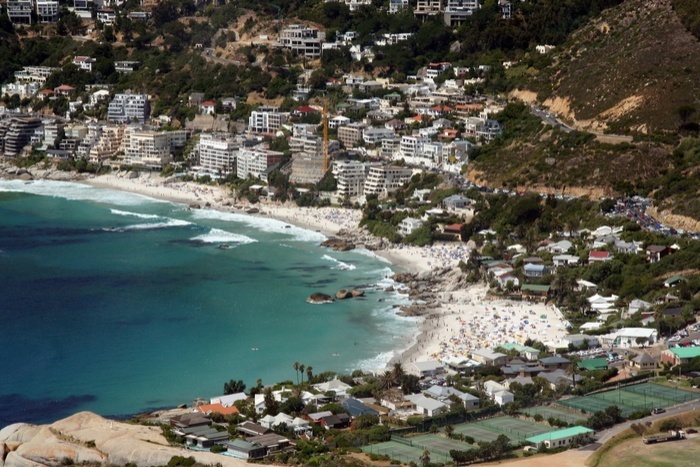 These are two of Cape Town’s most affluent areas, complete with stunning cliffside residences and bars, and white sandy beaches. With drool-worthy properties perched on the cliff and infinity pools for days, these picturesque suburbs are a perfect place to post up if you are looking to treat yo’self. 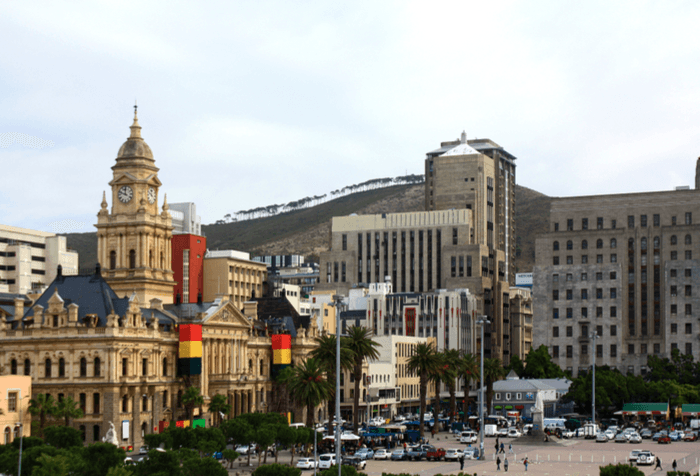 There is action all over Cape Town, but the downtown Central Business District (CBD) is where the city really gets its pulse. The amphitheatre-shaped City Bowl is nestled at the base of Table Mountain, Devil’s Peak, Lion’s Head, and Signal Hill, making a topographically stunning layout. Hit up Bree Street or Kloof Street for trendy restaurants and bars, or Long Street for quirky shops and epic nightlife. Where are your favourite areas to explore – or dream of exploring – in Cape Town? Share your wanderlust photos with us using the hashtag #dailyhivemapped.